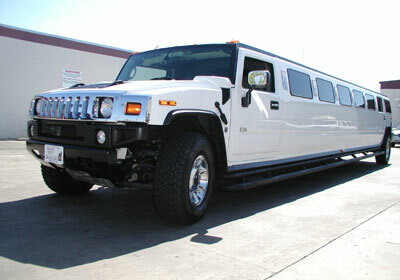 The Hummer H2, limo hire from Easy Limo, your first choice. 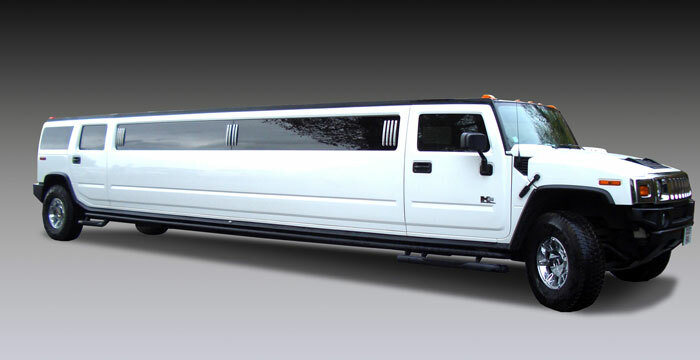 The Hummer H2 is a classic party limo, perfect for getting noticed on a big night out. 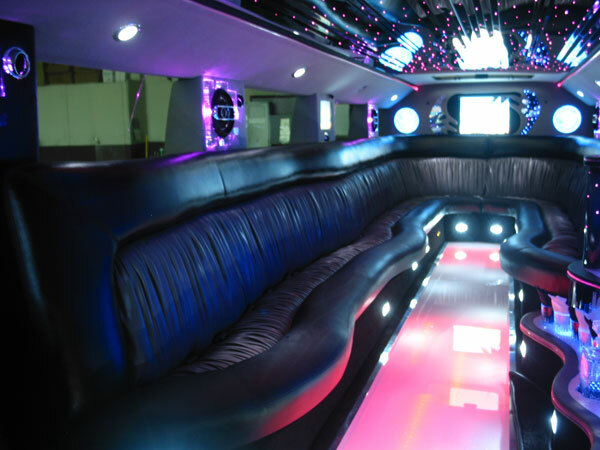 The Hummer has been the limo of choice for Hollywood actors and pop stars for years, and it doesn’t seem likely to change any time soon. 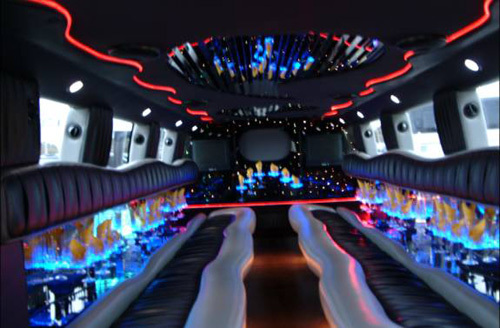 Make everyone else a little jealous when you arrive in a Hummer. Let’s face it, size matters, and Hummers always deliver. 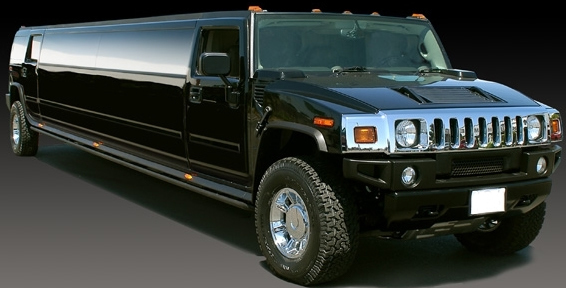 Hummers are luxury versions of the US Army’s Humvee troop transport vehicle. Once you hear the six litre turbo engine fire up, you’ll know it, too. 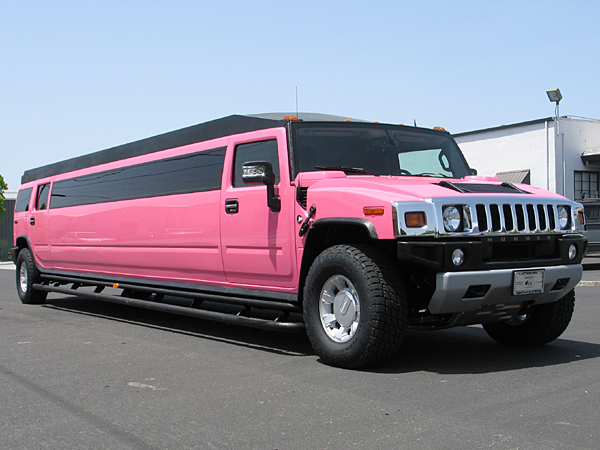 A stretched Hummer adds a bit of glamour to any trip, no matter how long or short. Planning a wedding? 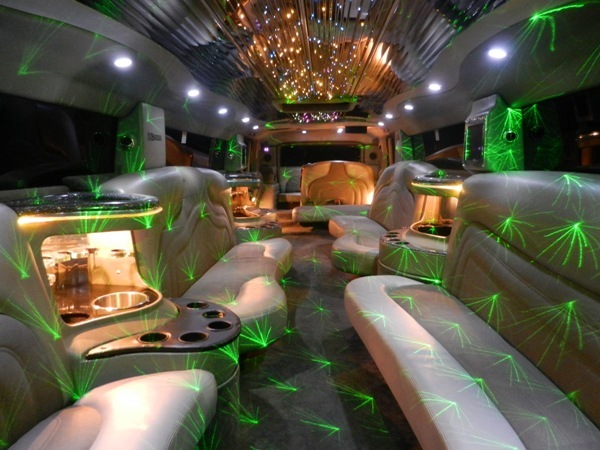 A sweet sixteen birthday party? A prom? 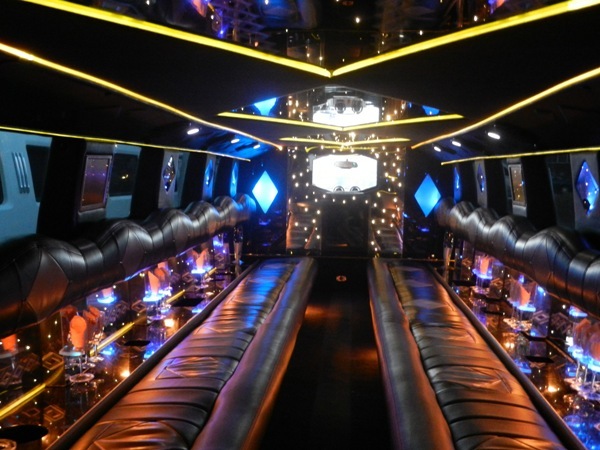 Maybe you just what to do a hen night in real style? 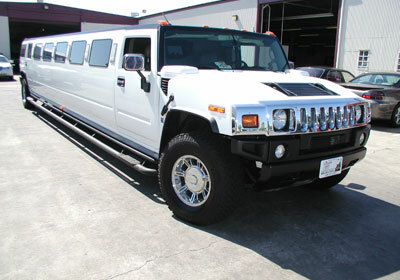 Have us bring a Hummer H2 around, you won’t regret it. 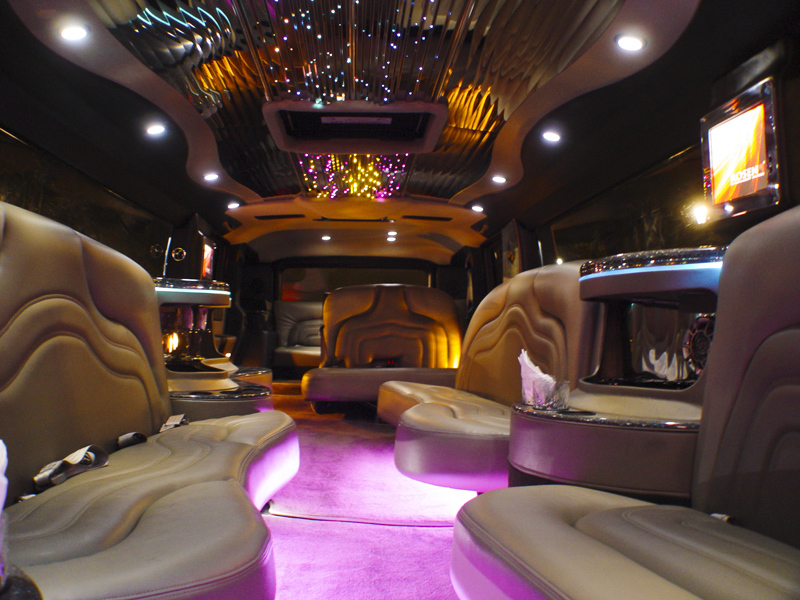 The Hummer is ideal for transporting a large group, as it sits 16 people in real luxury. 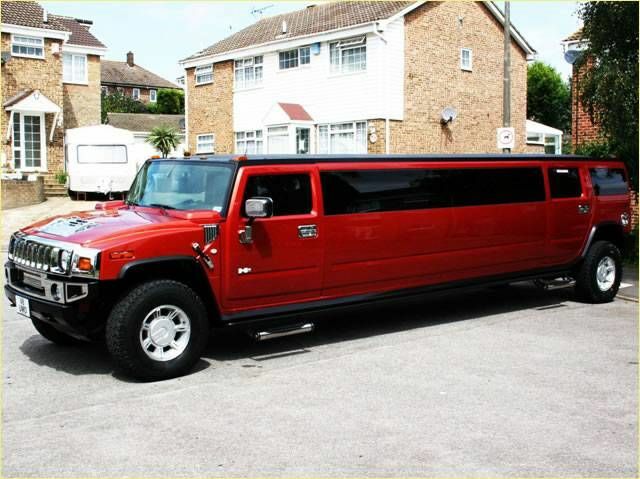 There is also a huge boot, so it is perfect for a holiday, a proper shopping safari, or just an overnight trip. Inside you’ll have all the mod cons at your fingertips. For entertainment, there’s a TV and video player, and of course a CD player. 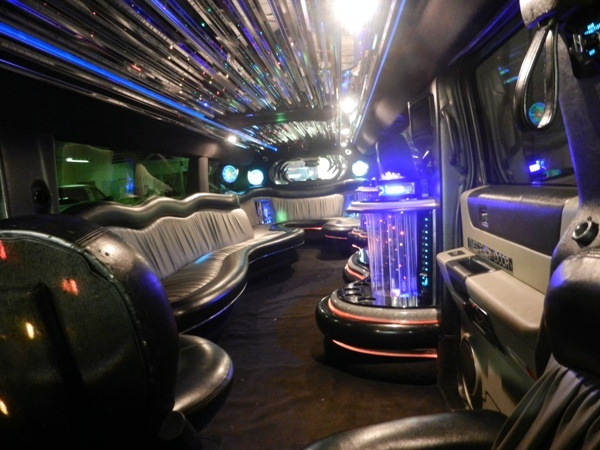 You can keep in contact with the driver over the built-in intercom. (“Easy over the bumps, Jeeves”) If you need a bit of privacy, you can separate your section from the front seats with the privacy divider. The bar comes stocked with a nice selection of drinks for when it’s time to get the party started, too. 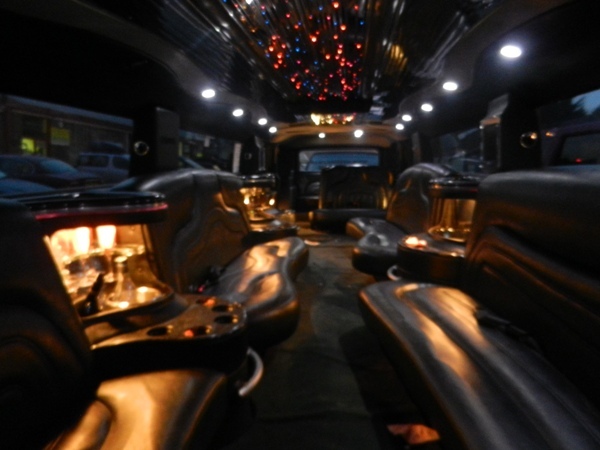 Features: TV/Video, CD player, privacy divider, custom lighting, moon-roof, intercom and well bar.